Practicing credit card safety has become an important part of life. Many merchants take credit cards (preferably cards issued in their own brand) and, for the consumer, making purchases on credit is fast and convenient. All it takes is a slip of the card through a scanner and, for the most part, you're done with your purchase. Since the current trend highlighting credit card preferences doesn't show any signs of stopping any time soon (despite many people shifting back to cash due to data breaches), it is important to have a good understanding of credit card safety and know the best practices in order to keep your account secure. Unfortunately, the aforementioned data breaches have become the norm and, while we can’t necessarily do anything to prevent this type of exploit, what we can do is lower our risk of our credit cards being used fraudulently. While signatures aren't always compared these days, it is still a good idea to always sign the back of any credit cards in your possession. This way if someone other than you gets a hold of your card, your signature is already on it and the thief cannot sign his or her name to it. While some thieves may try and remove the signature and replace it with their own, if you leave it blank, you make that task much easier for them. Never write your credit (or debit) card PINS down, and especially don't keep them listed in your wallet or purse. The best practice to keep credit accounts secure is to put your PINs to memory so these numbers cannot easily be compromised. Use strong passwords as well. It is important to be careful where you use your card. Thieves commonly put skimmers on gas pumps, less than honest workers may take a photo or imprint of your card when taking it away to scan (or just write down the number and security code). In recent years, credit card theft rings have become quite organized with employees of various merchants serving as one of the "middle men" (meaning they get paid a fee for each credit card information collected) who then pass them up to the next level of the crime ring. Always keep your card in your vision. Unfortunately, correspondences with credit card companies often have your personal information or account number plastered all over the documents. After reading correspondences and taking action, it is a good idea to permanently shred any letters or documents you receive. This includes receipts from purchases made that you do not need to save - if you do need to save certain receipts, lock those up. If the communication from the credit card company must be saved, be sure and keep it locked up in a secure location, such as a safe or locked filing cabinet. Whatever you choose it should be something not easily accessed by anyone else. It's not a good idea to leave correspondences lying around in your home, car or office where there is potential for theft. And never throw these documents in the trash, dumpster divers love to go through garbage to see what personally identifying information treasures they can find. Also, never throw out your old and/or expired credit cards. Frequently new credit cards or upgraded cards are issued by banks. Sometimes even before the old one expires. 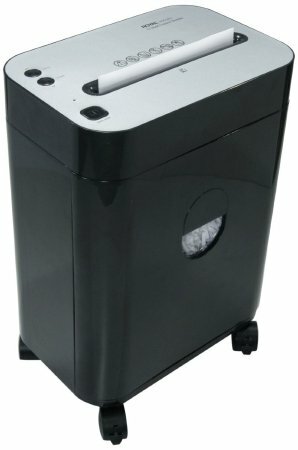 It is good practice to immediately shred or permanently destroy any old or expired cards. If you have cards you no longer are interested in using, close these accounts and then destroy those cards too. If you make a concentrated effort to destroy any cards, active, inactive or expired, immediately, none of the numbers are visible in your trash for someone to steal. It's a good idea to keep an eye on your monthly or online statements to ensure no unusual activity has occurred on your account. By comparing your statements to receipts you can better monitor your purchases and be sure no one else has accessed your credit card number and used it without authorization. If you do see any unusual activity, immediately report it to the lending institution; this way you are not held responsible for any purchases you did not make and the theft can be stopped more quickly. It is a good idea to frequently check your credit report to make sure nothing is amiss. Another possibility is to freeze your credit report so no one can open unauthorized accounts. This step prevents creditors from requesting to see your credit report - so anyone trying to fraudulently open an account would be denied credit. You have to do it individually with all three reporting agencies (TransUnion, Equifax and Experian). There is a fee associated with this, so check to see what the current fee is (they may vary - usually not more than $10). Additionally, there is a level of inconvenience if you want to apply for credit, but you can at least ensure no one is going to open new accounts without your knowledge. Before taking this step, U.S. News recommends understanding the pros and cons of credit (security) freezes. 5 Keep in mind, while thieves can't open new accounts, they could use ones you currently have in your name, used or unused. If you don't want a full freeze, you can place a temporary 90-day fraud alert on your reports for free as per the U.S. Federal Trade Commission. 6 This makes it harder for thieves to open accounts. The fraud alert can be renewed. Nowadays most people make their purchases through credit or debit cards. While paper money still has a place, electronic banking and transactions have become the norm. As a result, it is important to understand and have a good foundational knowledge of the ways you can protect your credit card accounts.